An exhibit room at Hoa Lo Prison. At left is one of the two guillotines the French colonial government used to execute those condemned to death. At right is the entrance to the row of cells for prisoners scheduled for execution. 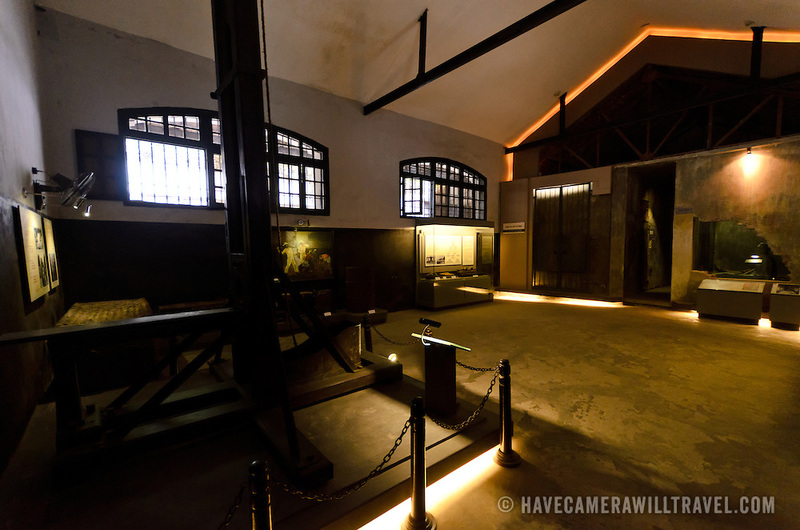 Hoa Lo Prison, also known sarcastically as the Hanoi Hilton during the Vietnam War, was originally a French colonial prison for political prisoners and then a North Vietnamese prison for prisoners of war. It is especially famous for being the jail used for American pilots shot down during the Vietnam War.